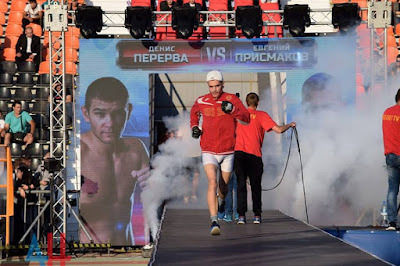 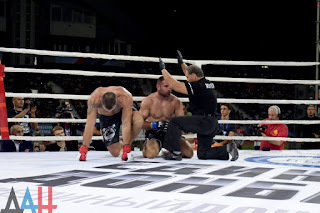 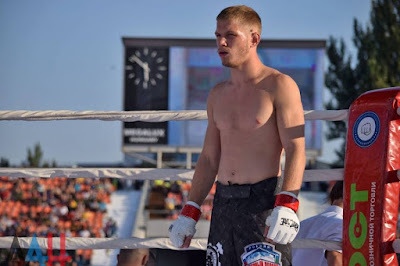 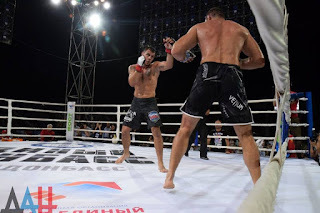 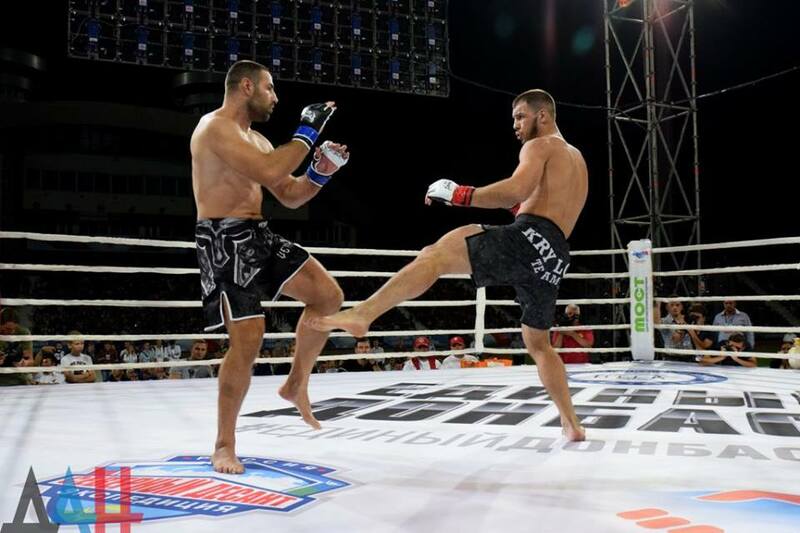 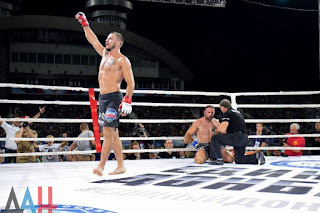 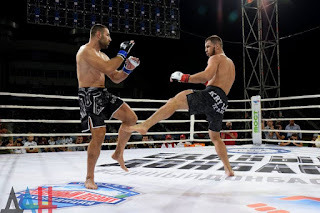 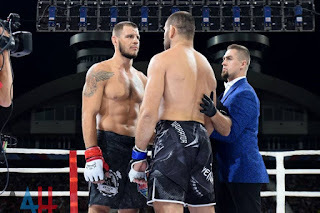 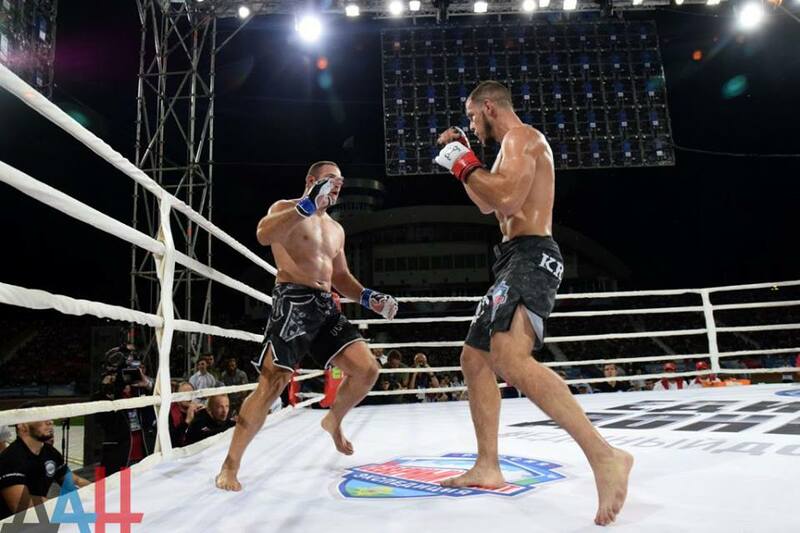 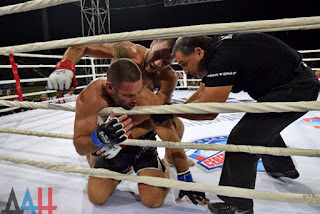 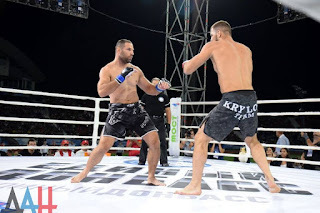 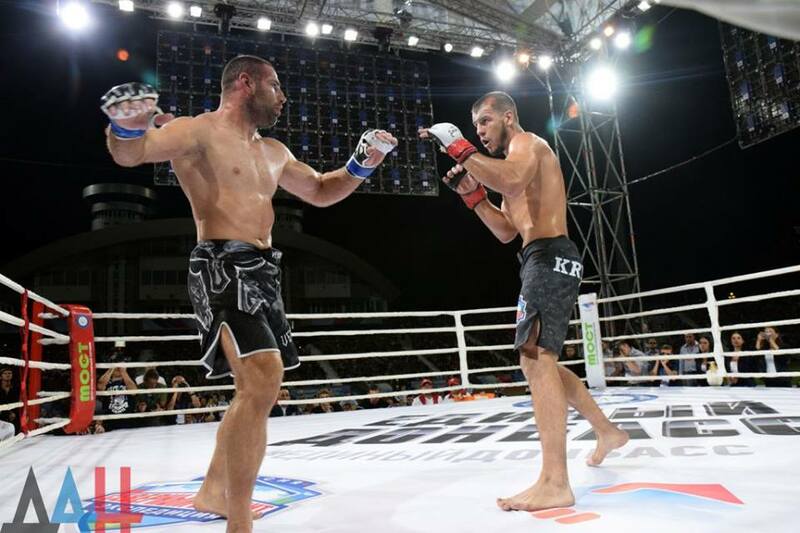 Nikita Krylov from DPR vs Maro “Mean Machine” Perak from Croatia, the main fight of the international Mixed Martial Arts Championship “United Donbass” at Olympic stadium. Krylov wins by a knockout during the second round. DPR Head awards United Donbass tournament cup winner "possessing true Donbass character"
On Saturday, August 26, the Head of the Donetsk People's Republic Alexander Zakharchenko visited the International United Donbass Mixed Martial Arts Tournament, which was held in a specially equipped ring on the football field of the republican Olimpiysky sports complex. 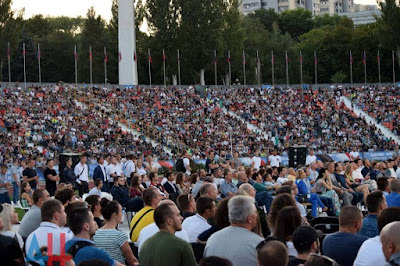 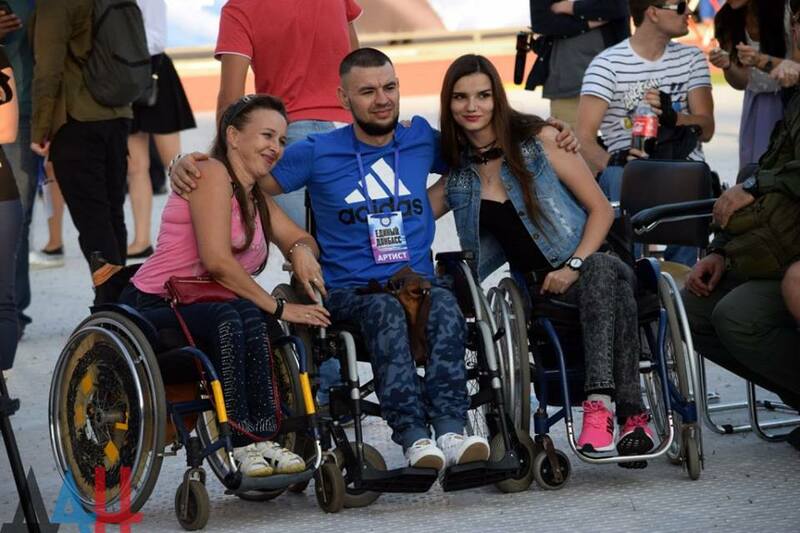 The event brought together more than 20 thousand residents of the Republic. 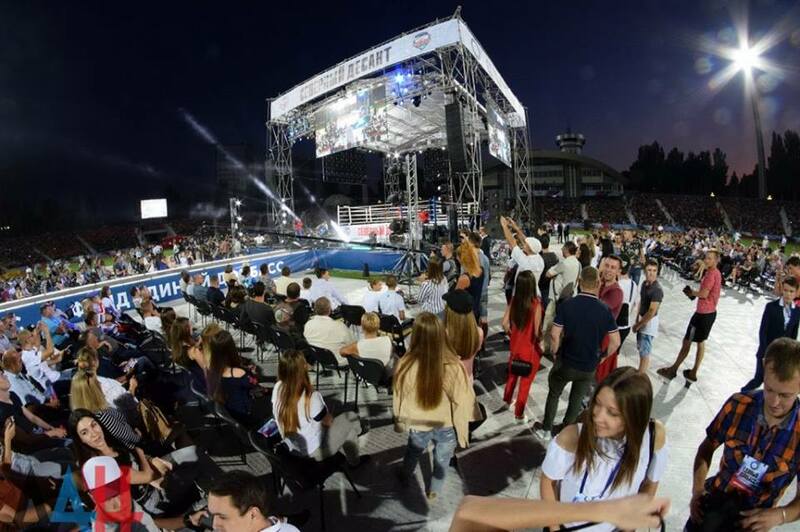 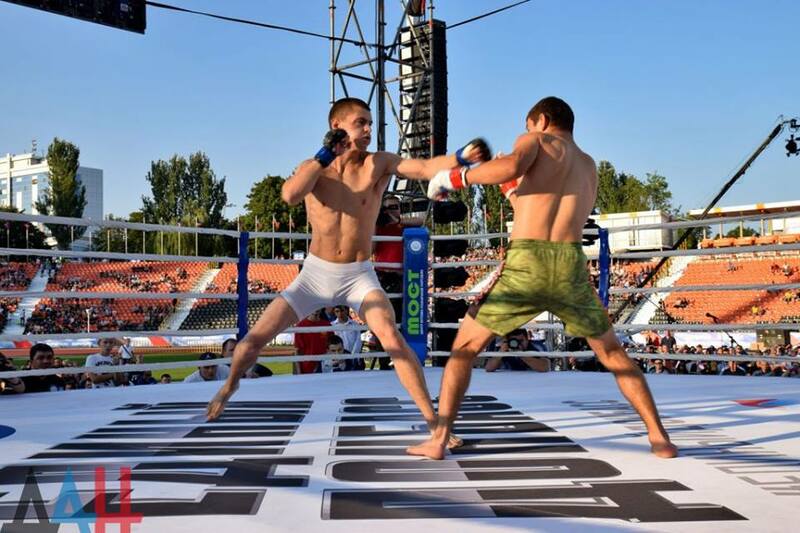 The tournament was attended by athletes from the Russian Federation, Croatia, the DPR, LPR, as well as the temporarily Ukraine-controlled territories of the Donetsk and Lugansk regions. 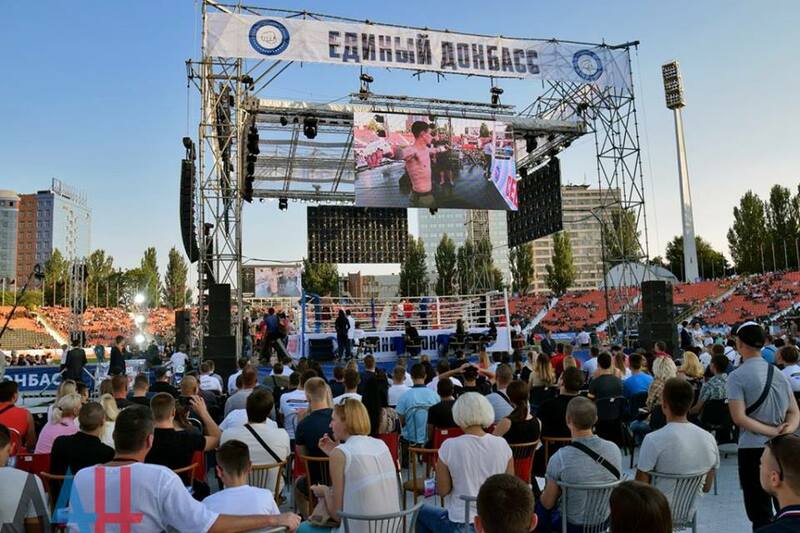 Residents of the territories controlled by Kiev were among the spectators. 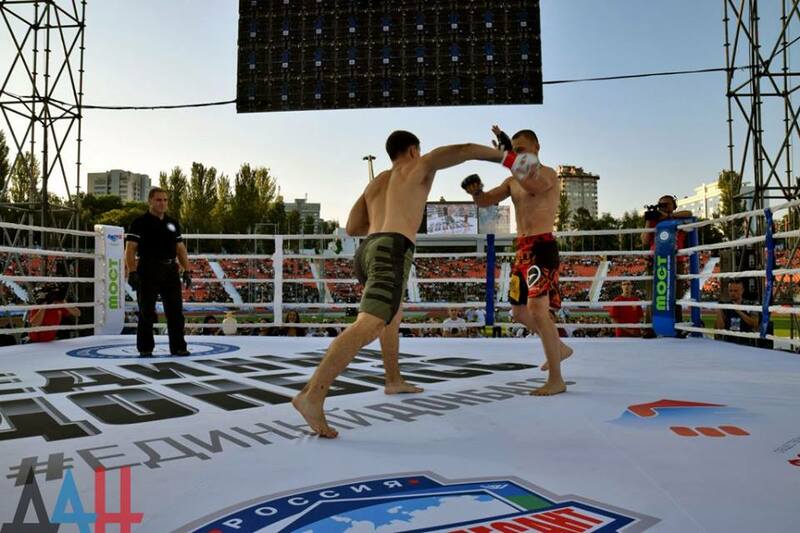 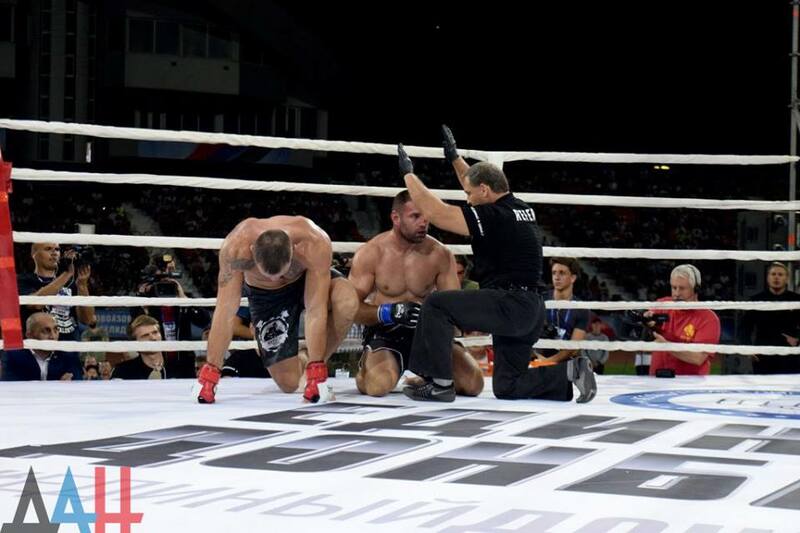 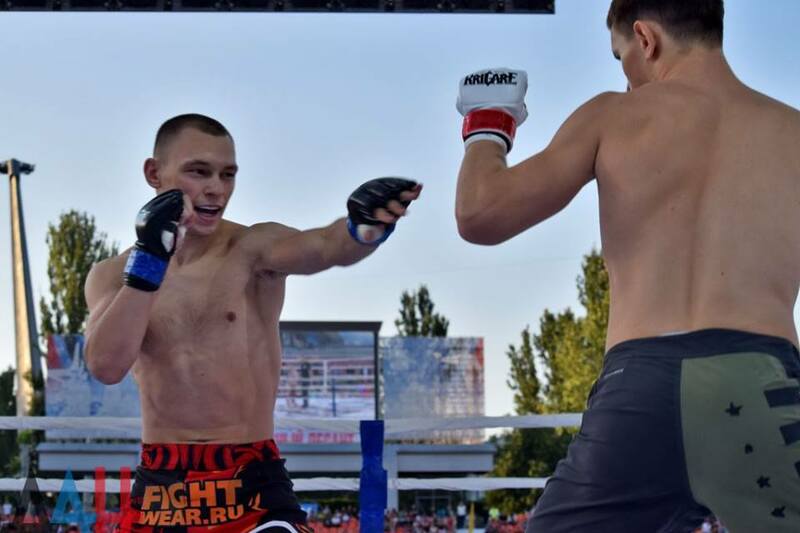 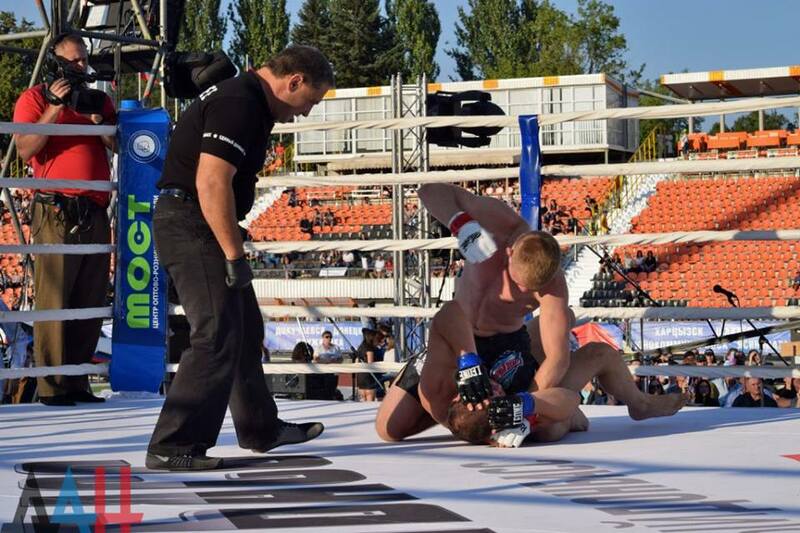 In total, 9 fights took place within the framework of the competition. 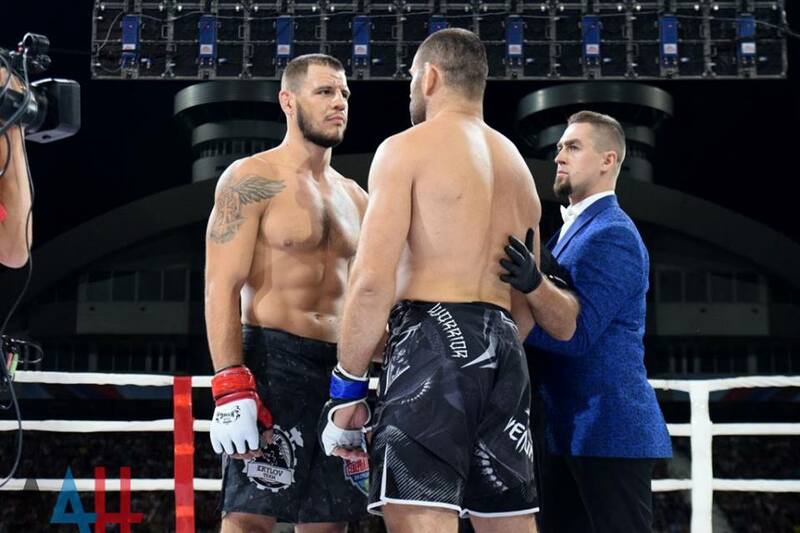 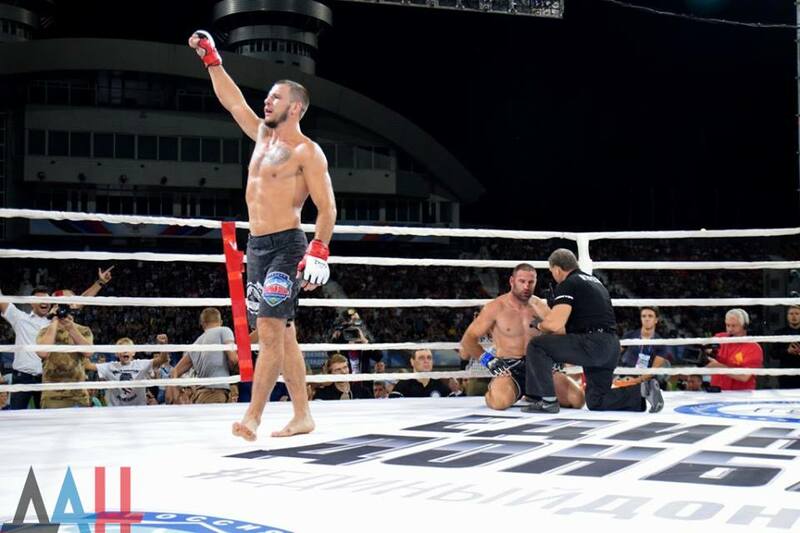 The main battle of the night was a duel between Nikita ‘Shakhtyor’ Krylov from Krasny Luch and Croatian fighter Maro ‘Mean Machine’ Perak. 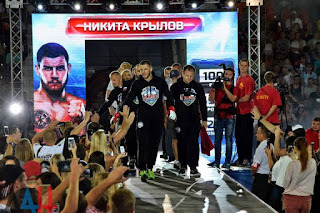 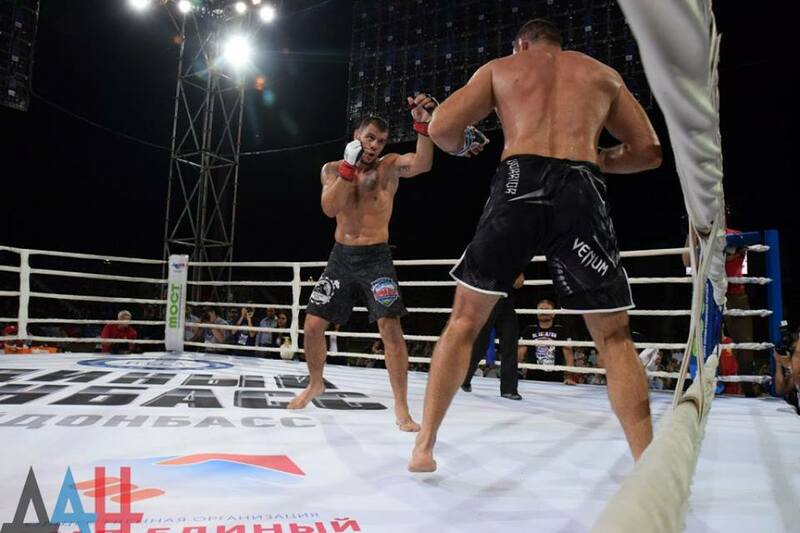 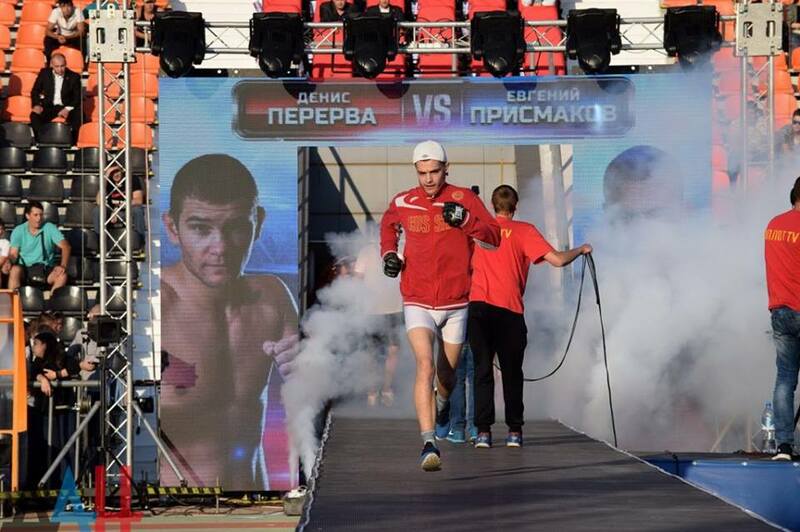 Nikita Krylov won the technical knockout in the course of tense confrontation in the second round. 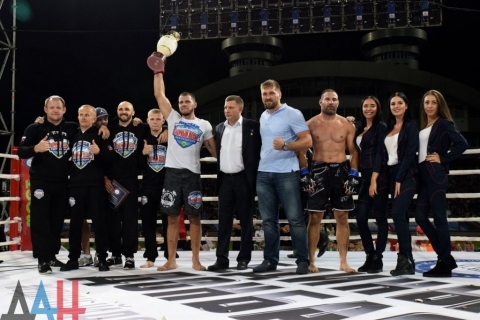 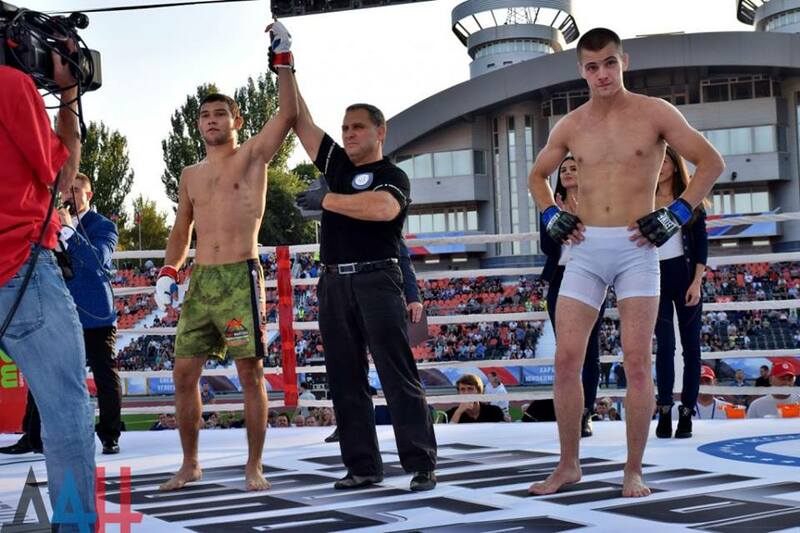 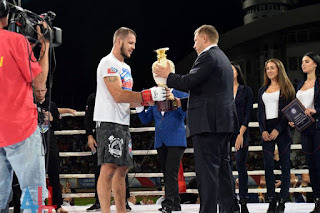 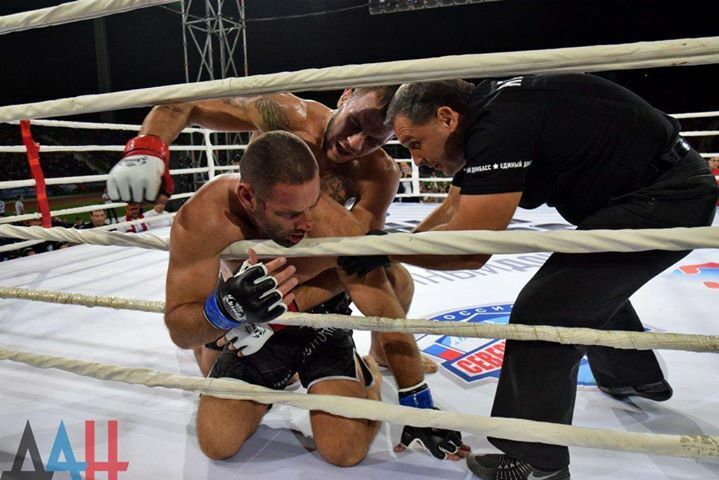 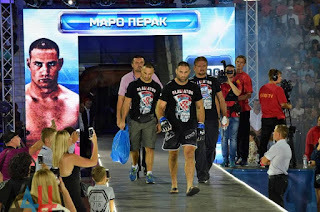 The Head of the DPR Alexander Zakharchenko personally came out to congratulate the winner and hand him the cup of the Donbass Combat Sports Association. The DPR Head also congratulated all those present on the Day of Donetsk and Miner’s Day. "Dear citizens of Donetsk, I have good news for you – today our beloved Donetsk was awarded the title of Hero City. I congratulate all of you on this event and on the holidays – City Day and Miner's Day. 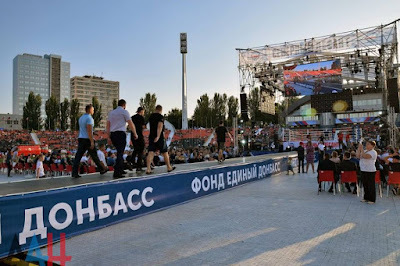 Today in the ring our fellow countryman showed what the true Donbass character is like. 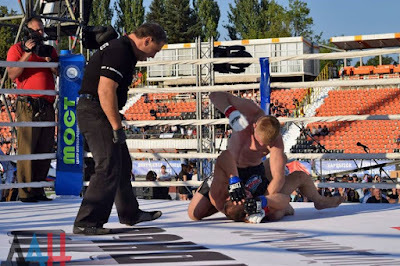 The opponent was very strong. 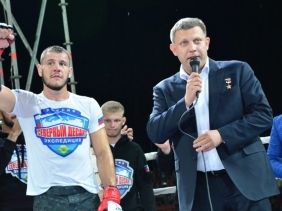 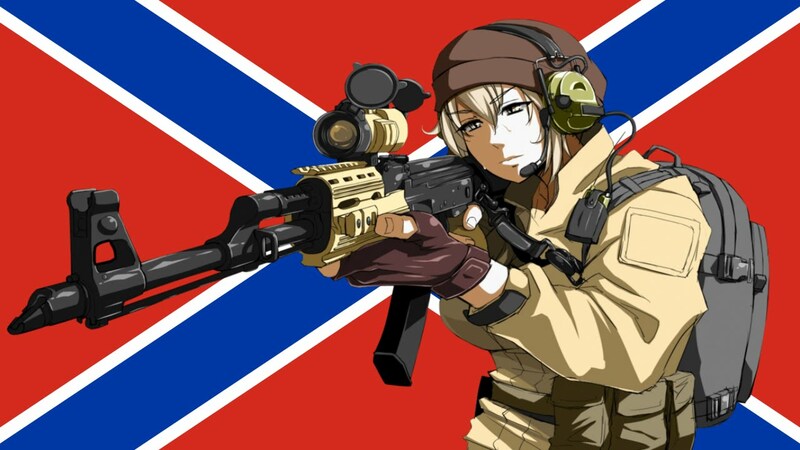 Nikita, congratulate you with a victory," Alexander Zakharchenko said. 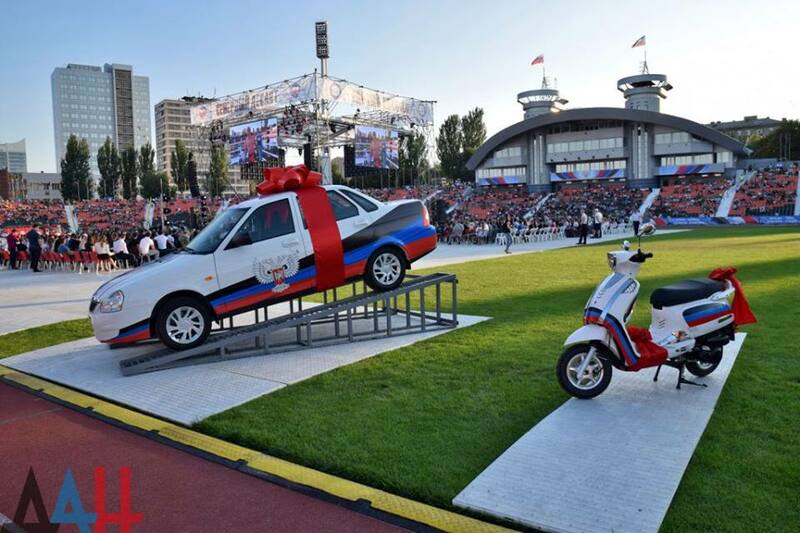 The event ended with the draw of valuable prizes among which was a car, performance of Russian singer Anita Tsoy, and festive fireworks.